Our engineers will work with you to analyze your production requirements and find the best design solution for you application needs. 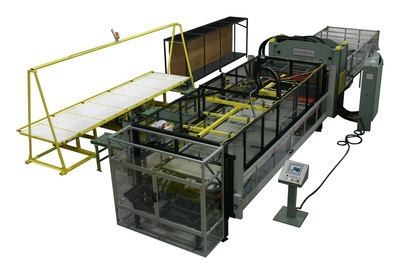 From modified standard machines to systems with unique features, SCHWABE focuses on the quality and details to make it happen. ​"You guys have a terrific product and great team with very good support". 1. OEM manufactured by SCHWABE USA in Cincinnati, Ohio, USA, providing quality assurance and superior long term performance AND 100% OSHA compliant. 2. 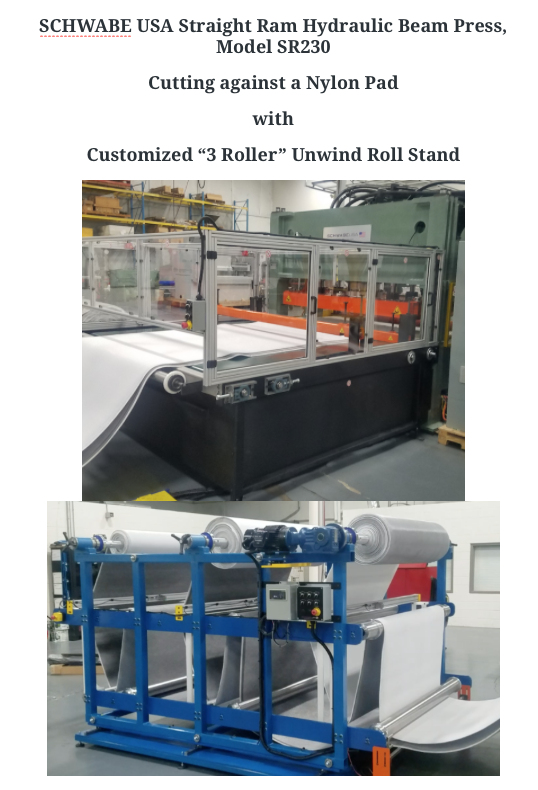 The hydraulic cylinder placement, when used on a solid platen, tends to elastically match the deflection of the table bed rather than the separation that will occur with pull down (4 Post) press designs. 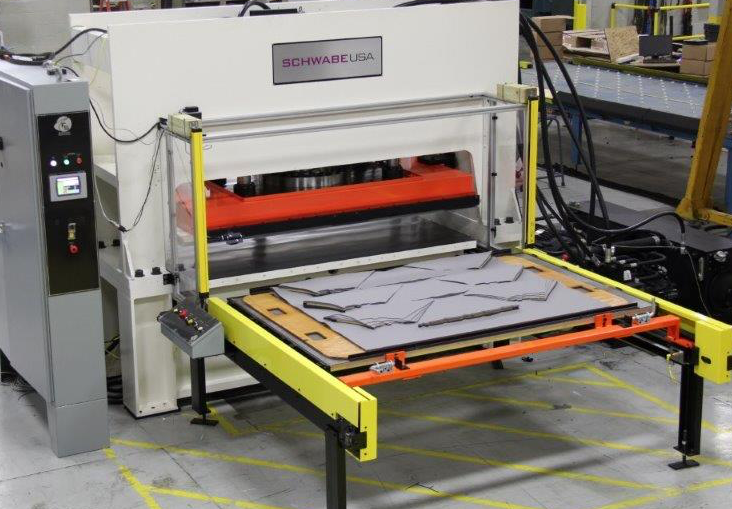 The Schwabe Straight Ram SR Series design allows for full tonnage over the entire stroke of the platen. 6. The press structure is simple and has only three moving parts namely: platen, center guide, and hydraulic cylinder rods. Because of this design simplicity the maintenance of the press itself is limited to lubrication. No linkage movement, no bushing, bearings etc. hidden inside the press weldment which are expensive to repair, maintain, replace. 7. 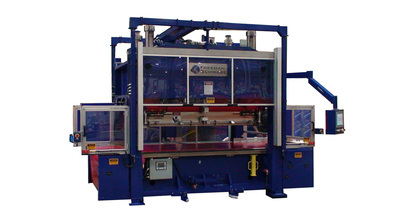 The unique Schwabe SR Series Press design makes it easy to incorporate all types of material infeed and outfeed systems, excellent for cutting roll or sheet materials. 8. Hydraulic cylinders are removable from the open structure of the top piece not hidden in a table bed structure. Rod seals can be changed without removing the cylinders in most designs. Hydraulics featuring Rex Roth Cylinders, Valves, Pumps, free standing power unit allows easy access for maintenance. 10. 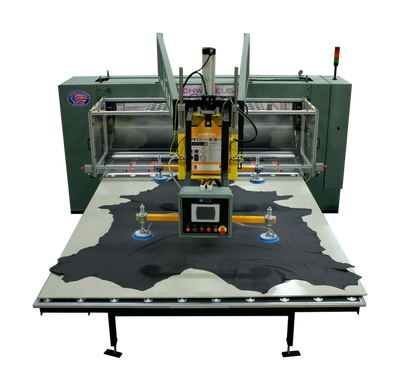 The SR can be fitted with various positive stop configurations: table, platen, and overhead mounted stops. The over head stops are especially suited for side die loading applications. 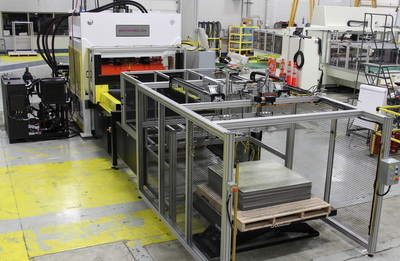 Positive Stops are used when cutting against a belt or steel for kiss-cutting applications.